As a result of the departure of drummer and band leader Mike Portnoy towards the end of last year, there's no doubting that this album will be one of the most closely scrutinized releases, not only of Dream Theater's career, but of recent times in general. Portnoy's control of the band was so all-encompassing that few really expected business as usual, least of all Portnoy himself, whose attempt at an eleventh hour reconciliation was politely declined by the remaining members. That's all water under the bridge now and the band have the amazing Mike Mangini behind the kit for the foreseeable future. The speculation was that because Portnoy had been responsible for the heavier elements of the band and the shouty vocals, this album would probably see Dream Theater returning to a more progressive and less metallic style. You know what? That's exactly what they've done. The first thing you notice is that there's an awful lot of music on this album, the nine tracks clocking in at over 76 minutes, with four of them over the ten minute mark. Most fans will have already heard the lead-off track, 'On The Backs Of Angels', as it's been available to stream for the last couple of weeks. It's a real throwback to more melodic times and starts with acoustic guitar and keys before Mangini is heard for the first time when his 'Pull Me Under'-like syncopated rhythm comes in just before the classic John Petrucci guitar riff. James LaBrie is singing well within his comfort zone and the track has many twists and turns, with the guitar and Jordan Rudess' keyboards sharing equal billing. The clarity of both is stunning, as are the drums and John Myung's six string bass, and the song has a very strong 'Images & Words' vibe about it with some familiar themes and sounds. The following song, 'Build Me Up, Break Me Down', has more of an 'Caught In A Web' feel about it with loops and samples and LaBrie's processed vocals, but it's still very melodic and Rudess' string section is a joy to hear over Petrucci's caustic riffs. 'Lost Not Forgotten' is the first real epic and builds from a piano motif to a staccato riff and soaring chorus, with ridiculously technical parts balanced against some of the simplest riffs they've ever recorded. It speed up for the chorus and also has a really melodic part halfway in, as well as another throwback to 'Images & Words' in the instrumental section, whilst Petrucci's guitar solo is one of his very best. Again Rudess' keys can be heard more clearly than ever before and he even does a fairly normal synth solo before the song returns to the vocal part. It's actually surprising how many mellow parts there are on this album, and despite the fact that there's too much going on towards the end of 'This Is The Life' to call it a true ballad, it's mostly quite sedate with gorgeous melodies, an impassioned vocal from LaBrie and a superb solo from Petrucci, but as brilliant as it is, it still isn't the best of the lighter songs on the album! 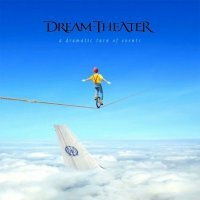 'Bridges In The Sky' has a very odd beginning, then a choir and harp before Petrucci's technical riffs and Mangini's double bass drums kick in, but the vocal is still very tuneful and there are lots of familiar themes that are expertly sewn together, whilst 'Outcry' has some ridiculously fast ensemble playing and it's amazing they even know where they're up to as it twists and turns at breakneck speed. Again the technical instrumental bit is bookended by slower and more tuneful passages on which Rudess again shines. There are two of the best ballads they've ever recorded towards the end of the album, with the beautiful piano and strings and awesome vocal on 'Far From Heaven', but as brilliant as it is, it still isn't the best of the lighter songs on the album! 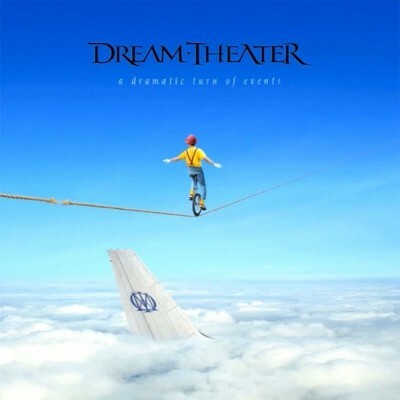 'Breaking All Illusions' is the longest piece on the album and is an instant Dream Theater classic, again it's very old school with dynamic and uplifting sections, excellent vocal melodies and all the unexpected quirky detours that you learn to love with repeated plays. Mangini is just awesome on this tune but every member of the band gets their chance to shine, and in parts it has the feel of 'Learning To Live'. Need I say more? 'A Dramatic Turn Of Events' ends on the final ballad 'Beneath The Surface', which is based around acoustic guitar, strings and James' wonderful vocal, it also has some endearing old synth sounds and is guaranteed to bring a tear to a glass eye, and yes, it's the best of the lighter songs on the album. With this album Dream Theater have done exactly what they needed to do, they've taken stock of where they were going and have not only reeled in the metal excesses, but gone the whole hog and made the most melodious album of their career. John Petrucci's production is simply stunning and every single nuance of the album can be clearly heard no matter how busy things get, which in recent years hasn't always been the case. The band have really stepped up to the plate with this one and sent out a statement to everyone who said they were finished. I think I've just found my album of the year. An interview with Dream Theater can be found in issue 47 of Fireworks Magazine, click here to read a free excerpt.